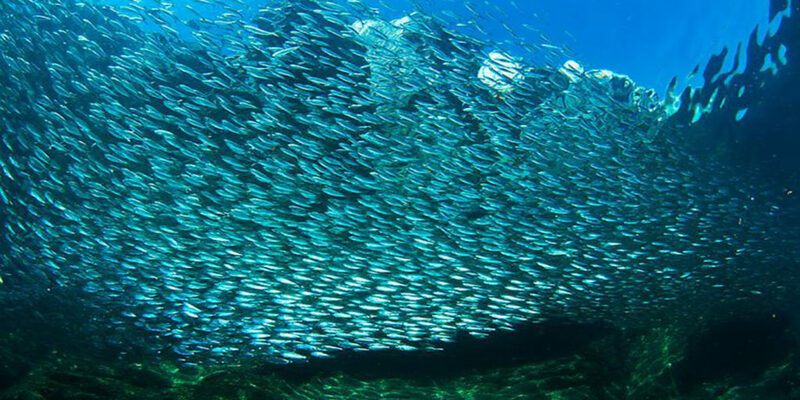 Are you ready to discover, dive and experience South Africa’s Sardine Run – the worlds greatest marine event? 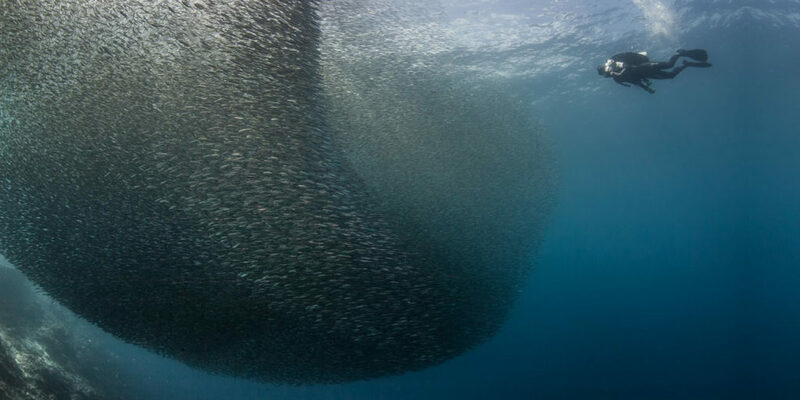 If the answer is yes, then you have to join Blue Wilderness on our next Sardine Run expedition. 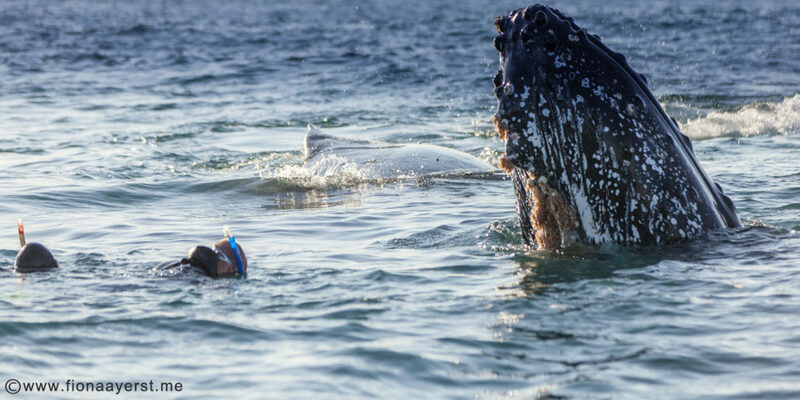 Here you will open yourself to one of the worlds most challenging but rewarding SCUBA diving expeditions! Personal – We love our guests, from the diving, relaxing, to telling stories around the evening fire, you will find our team friendly, personal and always at hand to make your trip as special as possible! 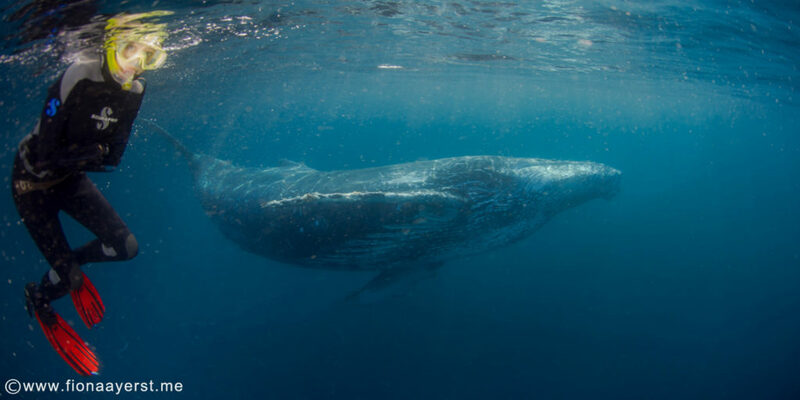 Pioneers – In the late 90’s Blue Wilderness pioneered the sardine run expeditions, though its work in facilitating the marine logistics for Blue Planet BBC series and the groundbreaking documentary ‘Greatest Shoal on Earth’. 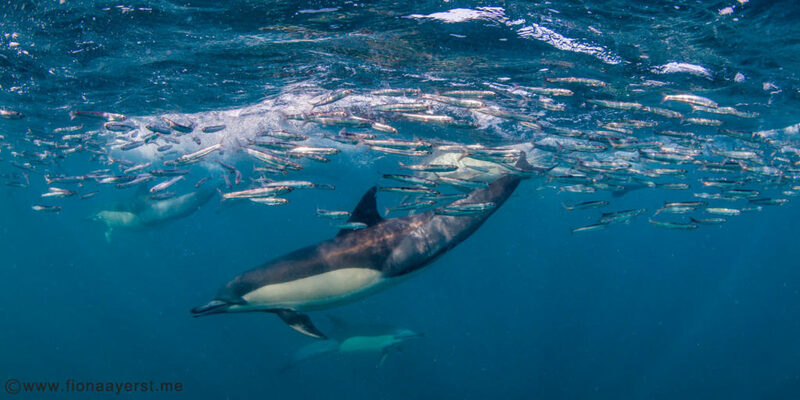 Since then we have continued to lead the pack in getting our guests unforgettable experiences on South Africa’s annual sardine run. 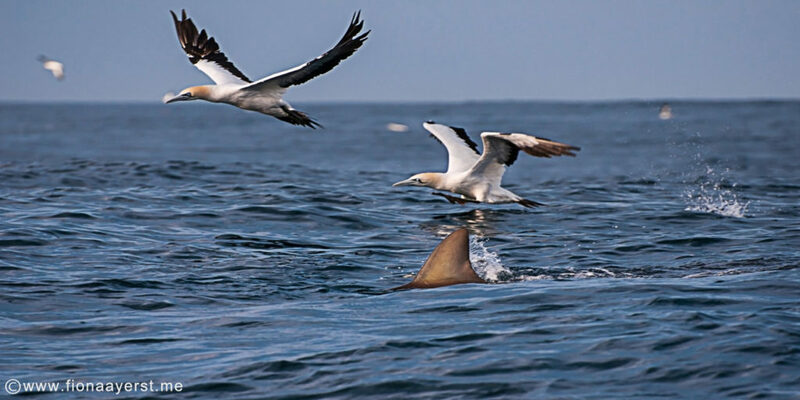 Expertise – The Blue Wilderness team is made up of many of the countries top shark experts and scientists. 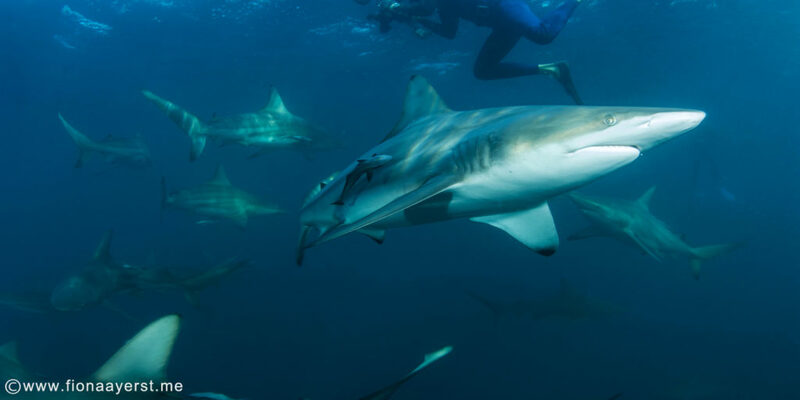 Owners, Ryan Johnson and Enrico Gennari have published extensive research on sharks (see here), advised government, and developed responsible management plan for sharks in South Africa. Our primary skipper, Marcus, has been leading expeditions for over an unmatched 15 years. Now this is true expertise! 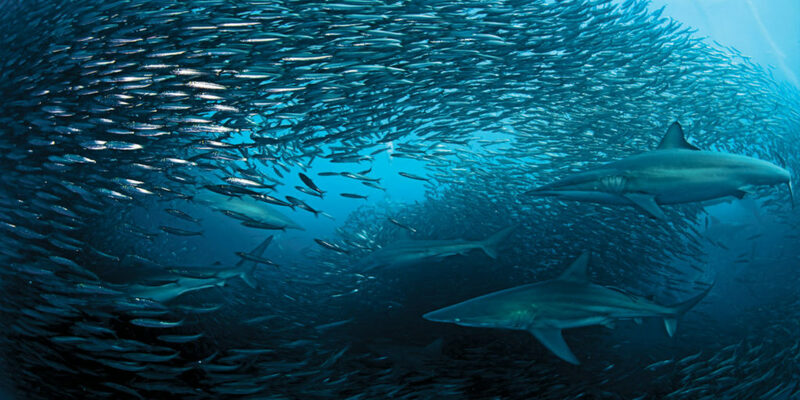 The Professionals use us – Blue Wilderness is the goto shark logistics company for many of the worlds top film crews and photographers wanting to capture images and video of the Sardine Run, we’ve hosted BBC, National Geographic, Discovery Channel and helped produce many of the iconic Sardine Run films – check them out here. 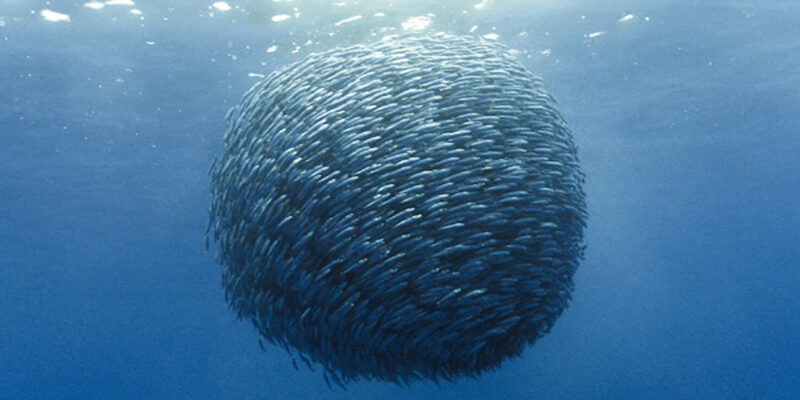 There is a reason why the professionals use us – because we are the best at finding and safely allowing clients to interact with bait balls on the greatest shoal on earth! Location – Whilst most operators head off to the well known ‘Port Saint Johns’ for the expedition, Blue Wilderness heads further west, launching from East London. The reason is simple, we are pioneers and don’t have the ‘follow the pack’ mentality. Instead of jostling for position with other boats, we search, locate and find incredible sardine action in relative isolation and freedom of East London. Just the way we like it!